Holistic Casino Guide / Casino News & Discussions / Online Casino Rigged Software? Today I want to discuss the integrity of the software used by online casinos. I decided to do an article on this topic because there’s been complaints from players that some of the games are “rigged”. What does rigged mean? When a games operates outside the laws of probability. Before I start, please keep in mind that this is not a common occurrence and only a handful of unscrupulous operators employ this tactic. When it comes to game play, the software used by online casinos are divided into two categories: downloadable and instant play software. It’s not necessary to download the latter version since it’s browser-based. The graphics of the instant play software is now on par or even better than the download version. Before an operator signs up the software it’s going to use, the software is reviewed in advance by competent verification companies such as eCOGRA or TST, just to name but a few. However, once the software leaves the shore of the provider, some operators use programmers to ”modify” the outcome of certain games that predominantly favors the house. This system is very popular. It’s based on betting on red or black over a period of time. So how does it work? Let’s assume you wager $1 on ”red”, came out ”black” bets are lost. You bet $2 dollars on black, come out ”red” bets are lost again. Wager $4 dollars on ”red” come out ”black” bets are lost again. This time round you decide to bet $8 dollars on ”black”, black bets wins. Dollars invested=15, 16 dollars earned, profit=$1 dollar. Not bad taking into account the amount of cash wagered. Unlike the Martingale system, this system is different since players must place their bets according to the color that came last. Some operators have caught on to this tactic by ”altering” the outcome of the game when players use this strategy. They even go so far by paying their top casino affiliates flat fees coupled with high revenue share deals to spread the word about this system. Problem is, once the software realize that players are using this strategy its RNG kicks in favoring the house by a country mile. 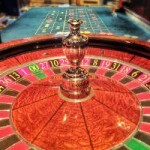 There are various betting strategies when it comes to playing roulette. I’ve already discussed the reversed-Martingale. I’d like to give you a brief overview of the ”2000 Chart strategy” and the ”Biarritz Strategy”. This method of betting is based on the colors, large or small numbers such as 1 to 18 or 19 to 36. Basically when a player loses they double their bets on lost chips. The difference between this system and the Martingale system is that you can bet on all sections with a 1:1 chance. This system was invented by Alexander Makarov, a prominent programmer who’s also the author of ”Marriage” which uses a mathematical method called Monte Carlo. Strictly speaking, this roulette system is very aggressive. The bet is always on the same number, with a rate of 35:1. Bets are repeated with each loss. I must point out that this system is rarely used. Let’s assume you start the game with 111 chips (3×37). In order to win you must bet on one number extracted less than three times. Many players still rely on the Biarritz principle such as group ”Orphelins” or ”Zero” consecutive rounds hoping that groups will be extracted. Each number has an equal chance to be extracted as long as the game is not manipulated. If you bet 1 chip on ”zero” during the 35 rounds, and if the ”zero” was not extracted during the 35 rounds, a bet of two chips follows an additional 35 rounds. 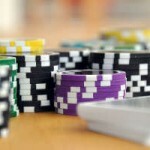 Therefore, if the number is still ”zero” after 70 rounds, you must bet on four chips until you manage to extract ”zero”. As you can see from a mathematical perspective this system is not logic and requires a hefty bankroll. Now that I’ve given you a brief overview of some of the systems players use to win at roulette, you’re most probably wondering what’s my point? If a portal casino aggressively advertises a system to win at roulette tied in with a lucrative deposit bonus-take a wide berth. Ten to one the software of the casino is rigged and the affiliate is in cahoots with the operator. Sadly unscrupulous operators continue to get away with stealing and cheating their players. They know that most players simply don’t have the cash to sue them in the countries that they are licensed in. Plus the operators are financially capable to hire the best lawyers money can buy. 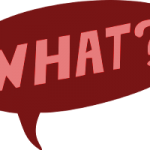 How Do You Avoid Being Scammed by an Operator? 1. Don’t wager at an operator if it’s not licensed in a white-listed jurisdiction such as Alderney, Gibraltar, Isle of Man, Malta or the United Kingdom. 2. If you accept the sign on bonus always read its terms and conditions first. If the bonus carries a hefty play-through (40xb) it’s in your best interest not to accept it. 3. 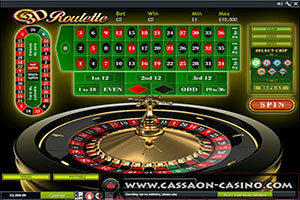 The operator must offer multiple software platforms from reputable brands such as NetEnt, Microgaming, IGt and so forth. The larger the game variety the more enjoyable the gaming experience. 4. If the website of the operator looks professional, it indicates that it’s financially sound and won’t give players the run-around when it comes to paying out large wins. If it looks clunky avoid it like the plague. 5. If customer support is rude, they don’t understand the terms and conditions of the bonus or if the operator does not offer a responsible gambling program, run!